Three people were injured during a shooting that took place in the Juniata section of Philadelphia Thursday morning. 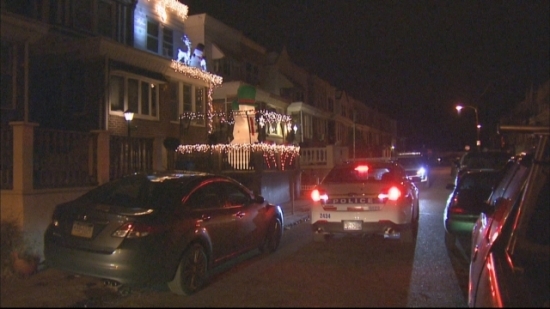 The incident happened on the 4000 Block of Howland Street just before 11 am when the three victims were hanging up Christmas lights outside of their home. Police say a dark grey Chevy Impala had driven by the house and then backed up. A verbal altercation then occurred between the suspects in the car and the victims. The back seat passenger then started shooting towards the house. All three victims were taken to the hospital and are expected to survive. New Jersey Police responded to a car crash that turned deadly in Winslow Township on Thursday. The crash took place on Williamstown Road at 7 am on Thursday. 23-year-old Joel Hutton crossed the center line of the road and collided with an oncoming car. The collision caused Hutton's car to flip sending his passenger, 19-year-old Janiyah Conquest, out the front window. Both victims were killed from the impact. The driver of the other car, 19-year-old Jillian Farrell, was seriously injured. Police are now investigating a double shooting that took place Wednesday night in North Philadelphia. The incident happened on the 2000 block of Turner Street at around 9:45 pm on Wednesday. Police arrived on scene to find two men inside of a house who had been shot multiple times. One of the victims was a 45-year-old man who was pronounced dead at the scene, the other victim was a 41-year-old man who was rushed to Temple University Hospital where he later died from his injuries. Police believe that drugs might have been the motive for shooting. The Flyers play at home Friday afternoon against the Rangers. Today, Cloudy with some rain possible, and a high of 54 degrees in Center City.